I mentioned yesterday that a group of us traveled to Pittsburgh to see Allen Ginsberg when I was in college at West Virginia University. It was an intense experience. Ginsberg did not just read—he performed his poems, often accompanying himself on his harmonium. I will never forget it. 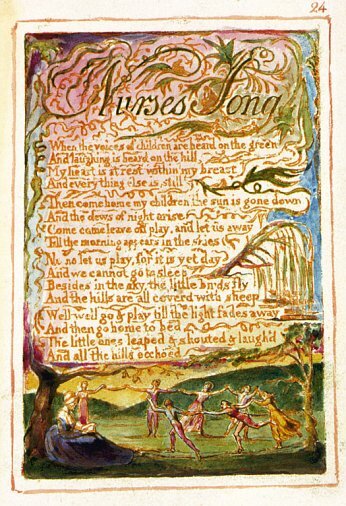 Blake’s poems were originally performed as songs, but we do not have any record of how they were performed and there is no surviving musical notation to tell us what they sounded like. Ginsberg spent years recreating the poems from Songs of Innocence and Songs of Experience as songs, inventing his own melodies and performing them as Blake did with a harmonium. Ginsberg’s interpretations may be accurate, but there is no way to know for sure. I like “The Nurse’s Song.” I like it in part because of experiencing Ginsberg’s performance. In Pittsburgh, the audience departed the auditorium singing along with the chorus, “And all the hills echo-ed // and all the hills echo-ed.” It was beautiful. I will never forget it. I wonder what Miles experienced in the same way. I wonder what he heard and saw and felt and enjoyed with the same feeling. A movie? A book? A concert? I know he loved hearing the live jazz in town on weeknights. I know he loved to skate and watch great skaters. I know he loved to spend time in the woods and camp. I know he loved seeing movies at the Campus Theater. I know he enjoyed a lot of things, and I wonder what remained with him. What stuck as deeply impressed in his heart as “The Nurse’s Song” remains with me? This is not a song, but a poem set to music. This is a perfect little poem by one of my favorite American poets. In college, a whole group of us went to Carnegie Mellon University to see Allen Ginsberg. 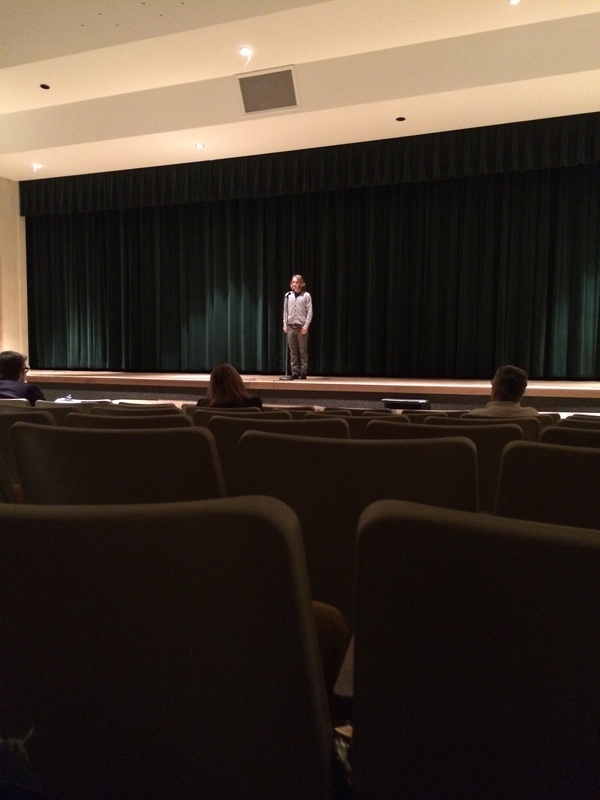 He recited his poems from memory for more than two hours, a source of intense bardic energy. He played his harmonium and sang some of his poems. I do not remember if he recited “Aunt Rose.” He may not have because it is a quieter poem, not quite right for the tenor of an auditorium for a throng of college kids. I never got to hear him recite them. He was too shy to tell us about it, and he did not want us to be in the audience because it would rattle him. But Kali was there and she said he did great, especially the Stein poem, which is very difficult.